Former model – Sterling Estate Villa 14 with formal Mediterranean design, is the ultimate in easy living. Featuring an open great room floorplan with large floor to ceiling windows, offering a light and bright living space. A beautiful master retreat on the main level, with a grand circular staircase leading to a second large master suite upstairs and an additional guest bedroom. Enjoy views of the park from main living areas, as well as mountain views from the outdoor courtyard. Generous outdoor living area complete with heated pool, barbecue and fire feature. 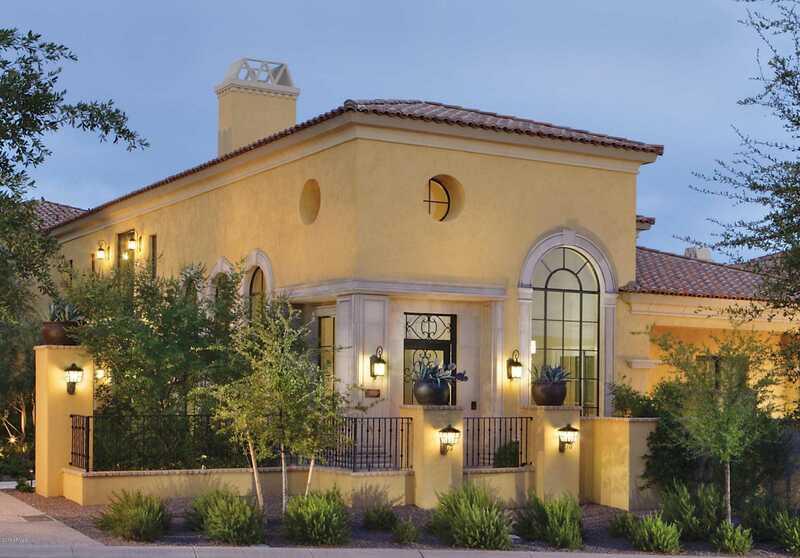 The home is within close proximity to the Silverleaf Club and Village Health Club. I would like to schedule a showing appointment for this property: MLS# 5854481 – $1,749,000 – 18927 N 101st Street, Scottsdale, AZ 85255.